Liz graduated from Indiana Wesleyan University in 2016 with a degree in Children’s Ministry, a minor in International & Community Development, and her Child Advocacy Certification. Throughout her time in college, Liz participated in several internships, including two summer internships at New Bethel Church. 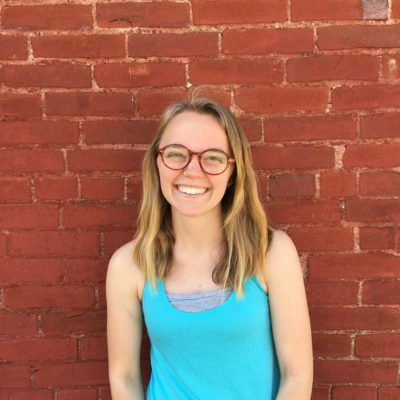 During the summer of 2015, Liz interned at Rosedale Church in Kansas City, KS. This internship played a major part in the Lord’s construction of Liz’s heart for ministry. Throughout the duration of this internship, Liz became acquainted with the foster care system, inner-city America, and the power of partnership between the Church and local law enforcement. Liz’s desire is to see individual lives and whole communities completely transformed by the love and power of Jesus Christ. She believes the most effective and most important way to share the love of Jesus is to simply pursue friendship with one another and do life together. Liz loves coffee, going to the movies, and any and every backyard game you can think of. She’d love to get coffee with you and get to know you! To make contact please see her info above.